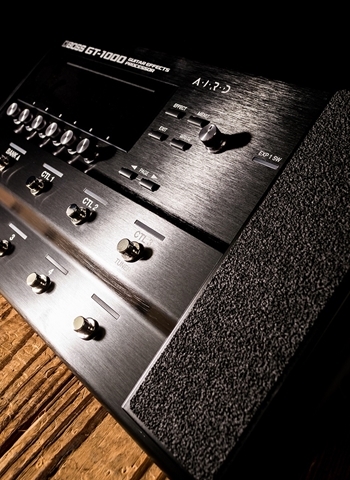 The GT-1000 also features a huge range of cutting-edge BOSS effects to enhance your tones, with numerous routing options and extensive real-time control at your command. And with the convenience of built-in Bluetooth, you can adjust sounds, configure control assignments, and organize patches wirelessly from your mobile device using the BOSS Tone Studio app. Packing immense creative power in a streamlined pro design, the GT-1000 is a game changer that brings new levels of musical expression to guitarists everywhere.